CONGRATS TO THE GIVEAWAY WINNER: Lhourdes Mercadero!!! Will DM you on Facebook as to how you can claim your prize! Since I am a vegetarian and I work at home almost everyday, as much as possible I try to prepare my own lunch. My mom is very supportive of this lifestyle choice, but she also cooks different dishes for me and my family. To make life easier for her, I prefer to do things on my own from time to time. 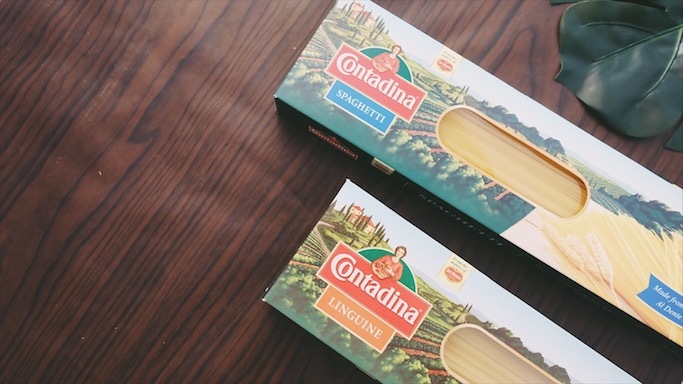 My recently discovered brand for pasta noodles and sauces is Contadina, from the makers of Del Monte. 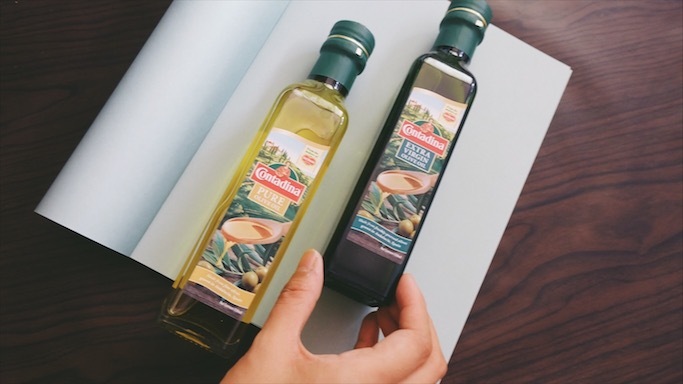 An Italian word for "woman of the fields", Contadina cares for the quality women put into their dishes to make them flavorful and authentic. They use the finest and freshest ingredients, and I can attest to this! 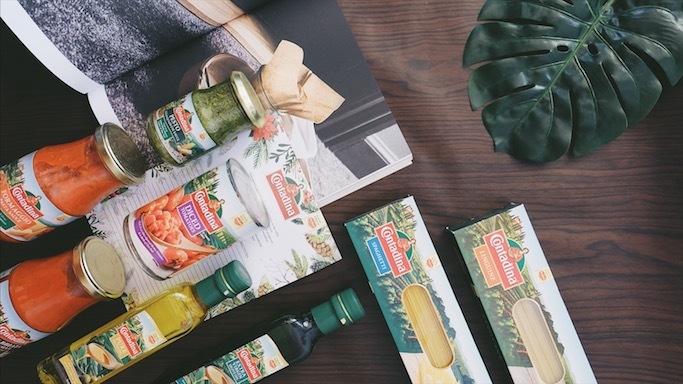 In fact, even popular chef Nigella Lawson uses this brand. Anyway, here's the pasta dish I concocted yesterday. It only took me around 15 minutes to cook ghis! Mom helped me with boiling the spaghetti, so I wasn't able to add that to the prep time. But anyway! This recipe is perfect to those who want to bring their own dish to their barkada or family potluck! 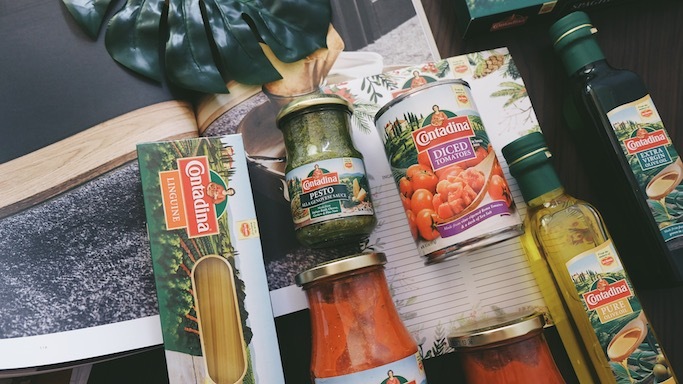 No chopping na involved, since every jar of Contadina sauce is already flavorful. 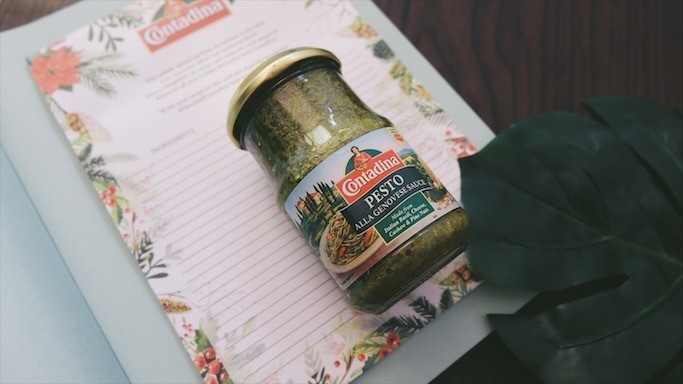 A bottle of Contadina Pesto Alla Genovese Sauce (which already contains nuts, cheese, and herbs!). 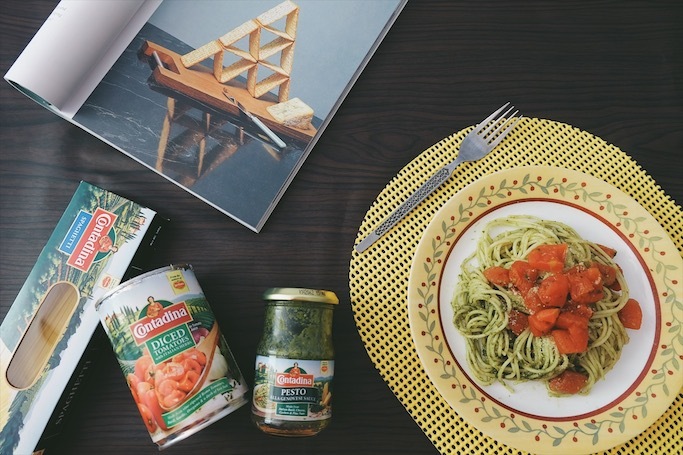 Usually when I cook pesto pasta, I add minced garlic pa and nuts, but this bottle works wonders on its own! Up to you nalang if you want to add more garlic or nuts. 1) Boil spaghetti, then remove from water. Set aside. 2) Cook oil + butter in pan. 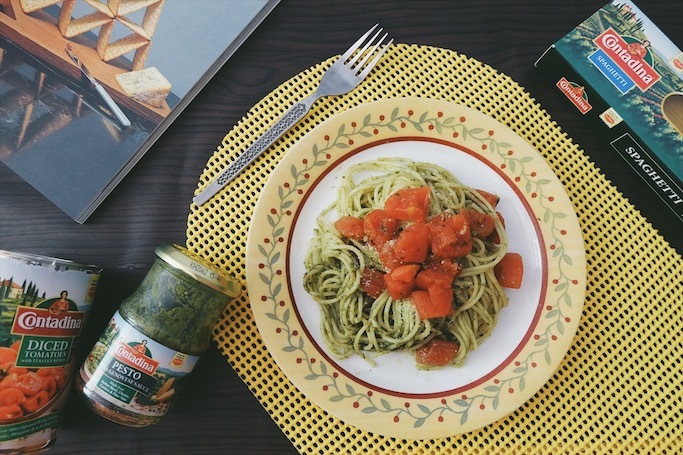 3) Add the noodles, then mix it with the pesto sauce. 4) I added a little truffled oil to give the pasta a nice taste and smell. 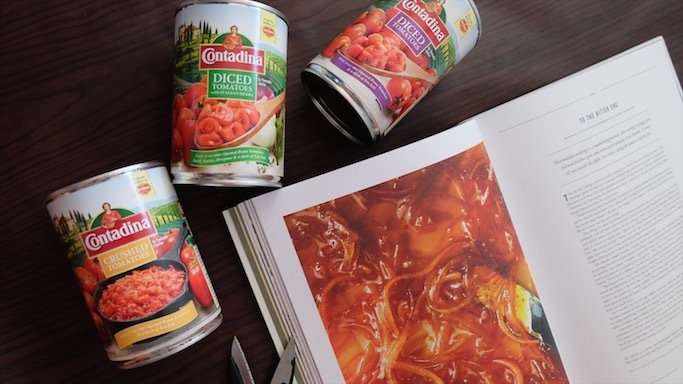 5) Pour diced tomatoes on top. Yummy! Dad told me to keep the recipe, but I told him it's so easy! "Masarap lang talaga yung ingredients." Hehe! 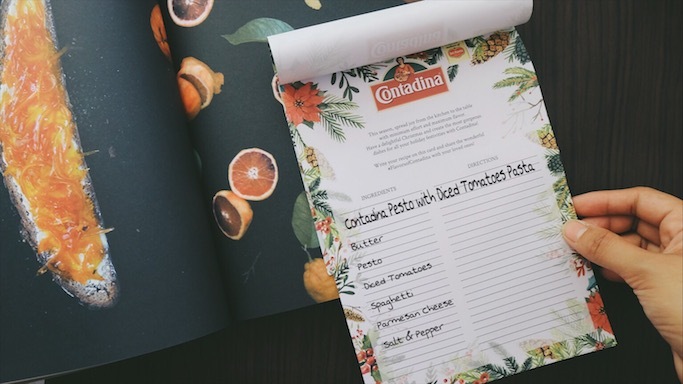 I am giving away a Contadina Holiday Package! 1) Share this blogpost on Facebook (here's the link: http://www.anagonzales.com/2016/12/my-contadina-vegetarian-pasta-recipe.html). No need to tag me but use #ContadinaxAnagon so I can track entries. Please set on public mode so I can see all entries. 2) Instead of tagging me, tag the person or people you want to cook the holiday dish with / for. 3) Winners will be chosen at random on December 18 January 1 (CONTEST EXTENDED! ), good luck! 4) This giveaway is limited to Metro Manila only. 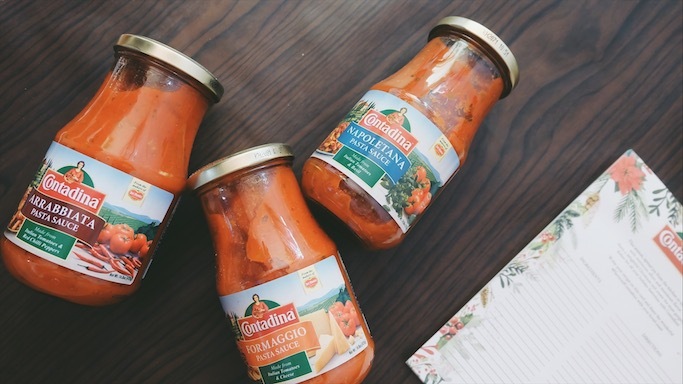 Follow Contadina Philippines on Facebook. Hi Ms.Ana! This recipe of yours is really greatfor my husband's health condition right now. He is a pasta lover but we have to lessen hid meat intake as doctors advice. Its really nice to see this blog post.